Departs Sundays on a Seat-in-Coach Tour. This tour will run on a Private Basis on any departure day. Please contact us for applicable cost. Meet at departure point – Parkroyal on Pickering at 0800hrs and depart to Malacca with 1 stop in Johor Bahru to change vehicle. 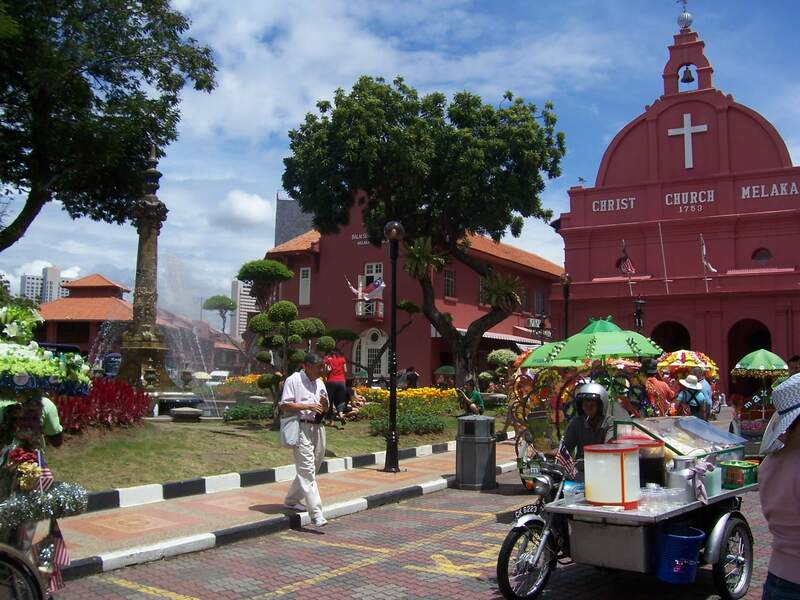 Continue the journey with estimated arrival time around noon, tour of the historic sites such as Cheng Hoon Teng Temple – the oldest functioning Chinese temple in Malaysia, Kampung Kling Mosque, Jonker Street (Antique Row), Baba & Nyonya Museum, Stadhuy’s Building, Malacca Clock Tower, Christchurch and the famous Porta de Santiago. Overnight. Note: Transfer from individual hotels to Parkroyal on Pickering available with supplement. Depart by 0830 hours to Kuala Lumpur, the capital city of Malaysia. Upon arrival you will be given a Tour of the King’s Palace (photo stop), National Mosque & Railway Station, National Monument, Independence Square, Sultan Abdul Samad building (photo stop), Selangor Club (photo stop), St Mary’s Church and the world’s tallest free-standing flagpole. Tour resumes for visit to the Seri Mahamariaman Temple and the colourful Chinatown for bargain hunting. 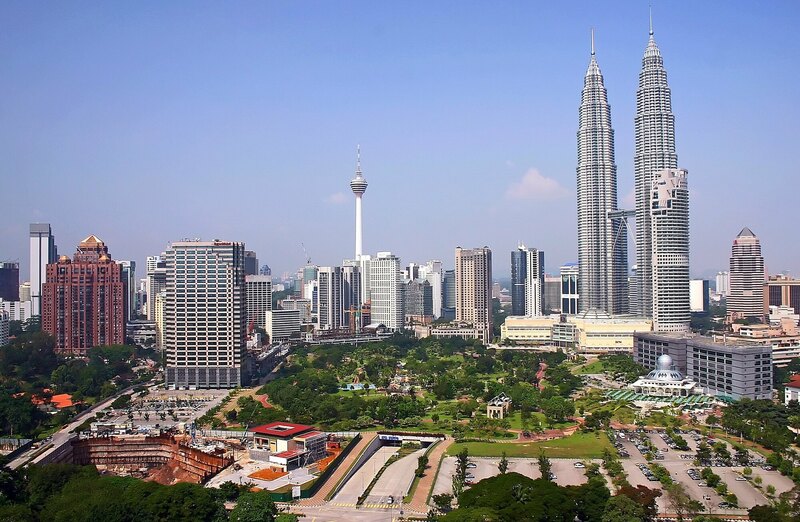 Before checking in your hotel, visit the tallest Communication Tower in South East Asia for a panoramic view of the city and the Petronas Twin Tower, the highest twin tower in the world. Overnight. After Breakfast, we will go on a tour of the Countryside, visiting a pewter factory showing Malaysia as one of the biggest producers of tin, Batu Caves – the holy, sacred cave temple for the Hindus (except during Thaipusam Day in January/February) and a batik factory. Rest of the day is at your own leisure to discover the good bargains and cozy cafes and restaurants of Kuala Lumpur, the happening City. Overnight. Depart by 0830 hours for Cameron Highland located at 1542 meters above sea level and noted for its tea plantations and cool temperatures. Stop on the way for a visit to see the cottage industry of basket weaving followed by Lata Iskandar Waterfall and a native settlement. Be immersed in the cool, crisp air of Cameron Highlands with its wonderful scenery. 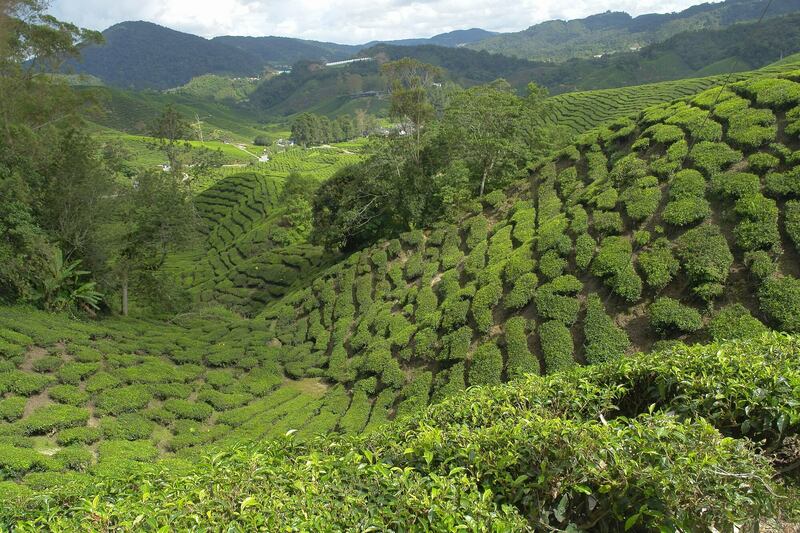 Tour of Cameron Highlands consists of the tea plantation, tea factory, market place and butterfly farm. Overnight. Note: Tea factory operation is closed on Monday and public holidays. Early morning set off to Penang. Stop at the Royal town of Kuala Kangsar to photograph the exterior views only of Ubudiah Mosque, Iskandariah Palace and Istana Kenangan. Discover interesting handicrafts of the Royal Town of Kuala Kangsar by embarking on a river cruise amidst a rustic ambience that is rich in history with live narration. Disembark to visit the unique process of keris (dagger) making, a dying art. Synonymous with the Malay culture and way of life, a keris is a status symbol for Malay Royalties and Dignitaries. Witness a demonstration of Tekat making, where gold threads are intricately embroidered into velvet cushions, an item previously reserved only for the Royalties. Lastly, visit the Labu Sayong Centre where unique shaped pots are made with deft hands and creative inspirations, mostly by womenfolk. The cool water from the pots is believed to have healing properties. Cross over to Penang, better known as the “Pearl of the Orient” via one of the longest bridges in the world. Overnight. Note:- Keris and Tekat Making are cottage industry craft making activities operated by villagers as part of family tradition. The visiting hours varies from time to time and will not be available during the fasting month, local public holidays or if any family occasions take place on the visiting day. 0900 hrs, depart from hotel for a City, Culture, and Heritage tour of Georgetown, which has been official declared as a UNESCO SITE in 2008. Visit the 3rd longest reclining Buddha figure in the world followed by Kek Lok Si Temple, also known as Temple of 1000 Buddhas, that was built in 1904. 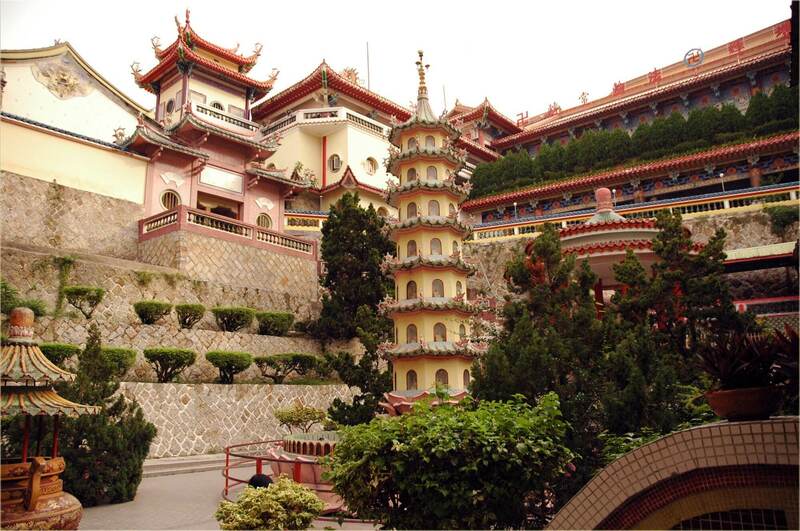 It is the most beautiful and largest Buddhist temple complex in SouthEast Asia. Next we visit Fort Cornwallis, the landing site of Captain Francis Light in 1786 when he arrived to start the first British colony in Penang. The tour carries on with a visit to the water village of The Clan Jetties at Weld Quay, so named as residents of each jetty share similar surname. We next take you along Pitt Street, also known as “The Street of Harmony”. Here churches, Chinese temples, mosques and Hindu temples are built along the same street in harmonious existence side by side for centuries. Visit the intricate Khoo Kong Si clan’s house. 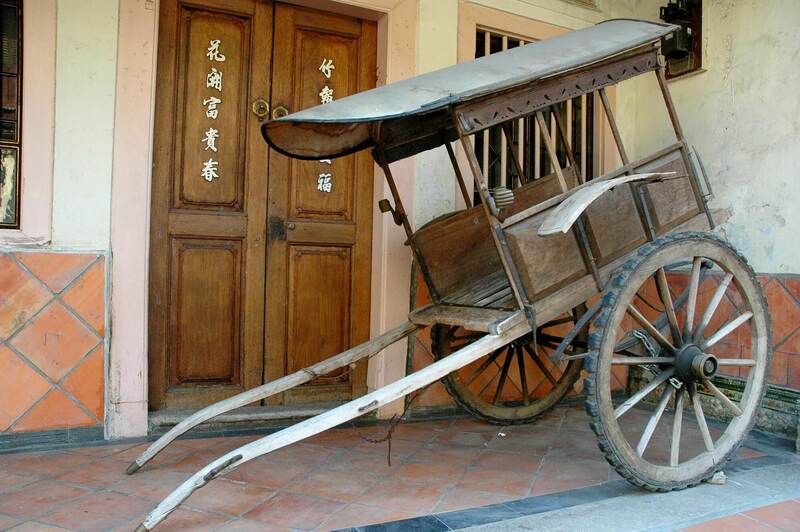 Enjoy a breezy trishaw ride, a still popular mode of transport in Georgetown. Return to the hotel and the rest of the day is at your own leisure. In the late evening, you can explore the nightlife along Batu Ferringhi, Penang style! Overnight. Pick up from your hotel and transfer to Penang airport for your departure flight. Note: On the last day of the tour, a departure flight (ETD) between 0100hrs to 0830hrs is subject to a midnight surcharge. Travel insurance – highly recommended – fully comprehensive insurance can be added and we are able to quote. Expenses of personal nature, such as local SIM cards, spending money, camera fees, minibar, IDD calls or other incidentals etc. The Malaysian Ministry of Finance commenced a new Tourism Tax effective September 1, 2017. The Tourism tax will be charged to the guest directly by the accommodation or premises at RM10 per room per night. This is on top of local Government charges applicable in Malacca, Penang and Langkawi charged directly to the guest. Minimum 2 persons for SIC Tour cost. This tour will run on a Private Basis on any departure day. $1,720 per person twin share.